To help refund thousands of investors who paid for flats that are still not built, Jaypee Associates, the parent of real estate firm Jaypee Infratech, has offered to deposit 400 crores every month starting January, it told the Supreme Court today. To help refund thousands of investors who paid for flats that are still not built, Jaypee Associates, the parent of real estate firm Jaypee Infratech, has offered to deposit 400 crores every month starting January, it told the Supreme Court today. Judges have ordered the firm to arrange 2,000 crores before the next hearing on November 13. Around 32,000 buyers have booked flats in 27 projects of Jaypee Infratech. Flat owners are concerned about the fact that banks have asked Jaypee Infratech to be declared bankrupt on account of unpaid loans worth about 500 crores. Once a company declares itself bankrupt, buyers are unlikely to get either their promised apartments or have investments returned. They say that a bankruptcy law introduced last year gives banks that lend to property developers unfair priority, and fails to safeguard homebuyers. The petitioners say that about 25,000 crores worth of money of flat buyers and others are at stake and that the insolvency proceedings were initiated "for a petty sum of Rs 500 crore". 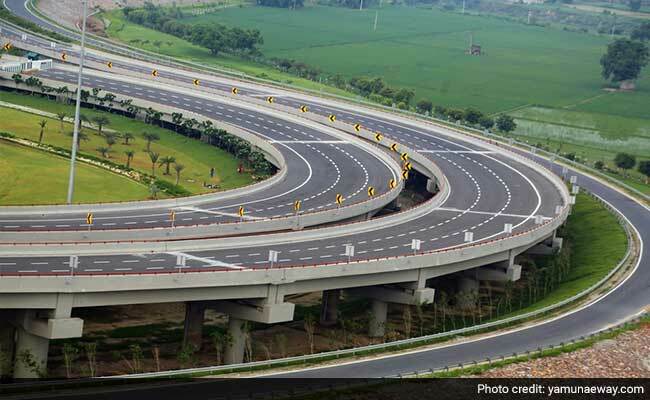 Japyee asked the Supreme Court last month permission to sell the 13,000-crores expressway it built in 2012 connecting Delhi to Agra for 2,500 crores. It said it a Singapore-based firm was willing to go ahead for that amount. However, judges refused the request and the UP government argued that the rights to operate the six-lane freeway, develop townships along it and collect toll are non-transferable. Jaypee has said that all lenders' interests are safe as the company has assets worth 17,000 crores which, even in a distress sale, will fetch 14,500 crores. From the mid-2000s onwards, lakhs of middle-class Indians, eager to own their own homes, poured cash into new building projects on the outskirts of major cities as a property boom took hold.